Description: This demonstration uses a slide with varing number of slits (between 2 and 5). Observe how the pattern changes with increasing number of slits. 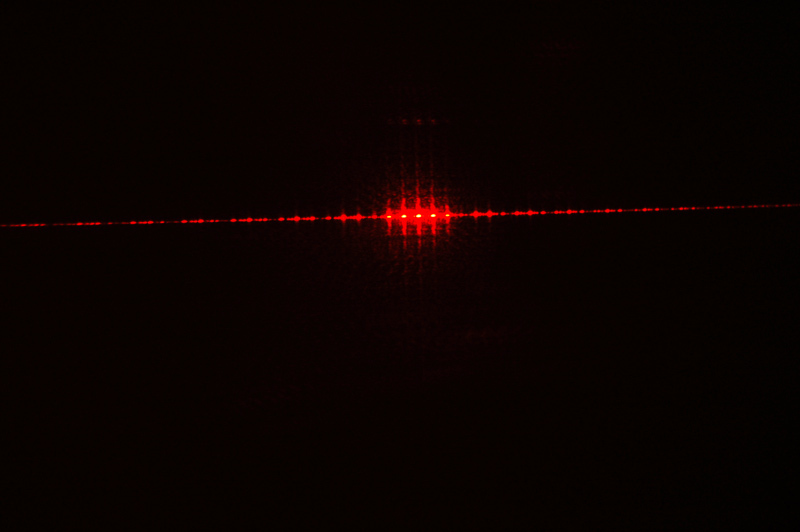 This demonstration can lead into diffraction gratings. Insert the laser into the optical bench. 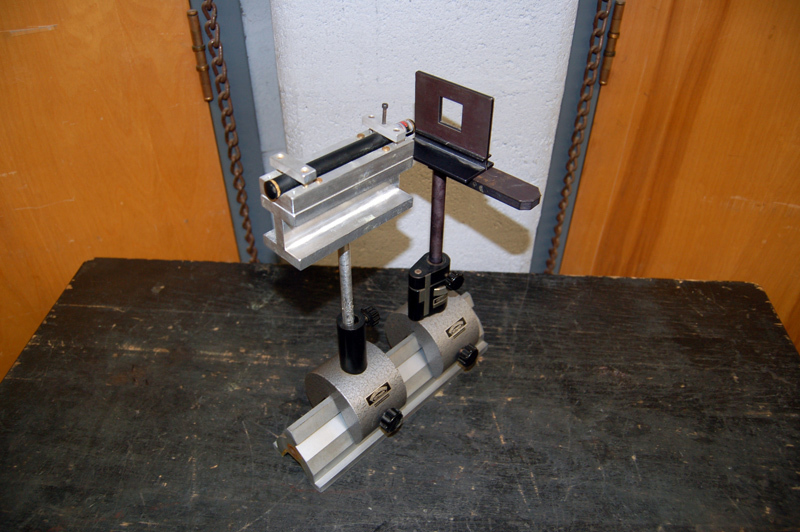 Insert the magnetic stand into the optical bench. 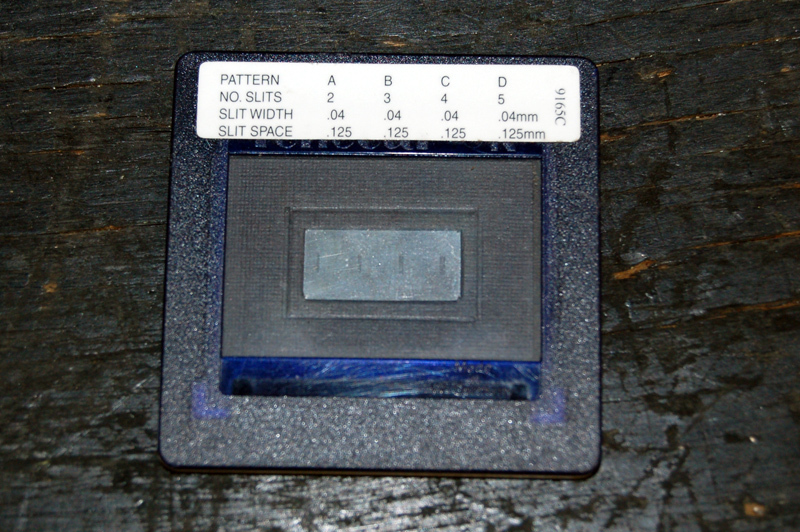 Place the multiple slits slide on the magnetic slide holder. Place the magnetic slide holder onto the magnetic stand and align so the laser will shin on the slits. Setup in the classroom to allow for the most distance between the laser and screen. Turn on the laser and make sure it's lined up on the desired number of slits. (Optional) Turn off the lights. Note the diffraction pattern on the screen. You may repeat this using a different number of slits. Do not stare into the beam. Keep away from students eyes.